During the home buying process, an appraiser visits the property to ascertain its value. This is for the protection of the buyer and the lender who is backing the loan. The Federal Housing Administration takes a risk on buyers who invest with low down payments and must assure their lenders that the property is a viable investment. The FHA appraisers evaluate properties, verifying that they meet specific minimum property standards. Interior inspections include the kitchen, where its age, upgrades, systems and the condition of the appliances are evaluated. The absence of appliances won't cause a home to fail the inspection. 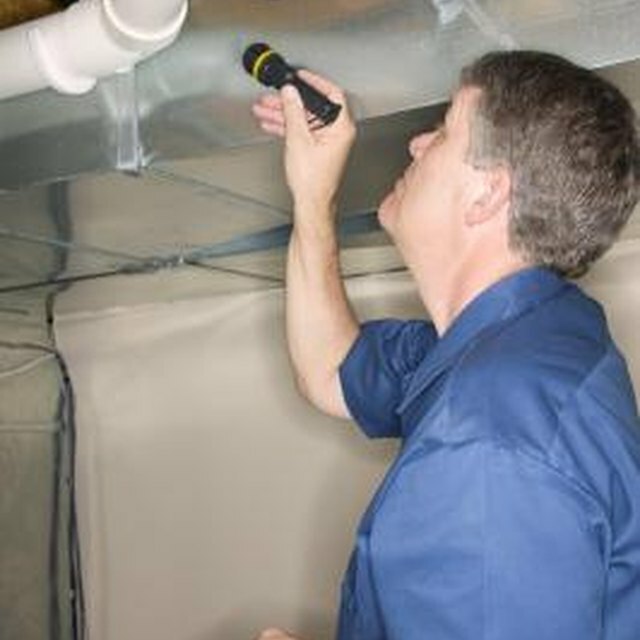 The general inspection performed by an FHA-authorized inspector ensures that the house is worth its purchase price. The size of the house, its location, the exterior and interior are evaluated. The condition of the home is also noted, and flaws that may lead to it being uninhabitable or dangerous are disclosed. While the kitchen inspection is general, the systems that operate kitchen appliances are thoroughly examined. A home must have water and electricity for an FHA inspector to perform his analysis of the systems. If a stove, refrigerator and dishwasher convey, they’ll be tested and must be in working order. Hot water coming out of the kitchen sink spigot indicates that the water is turned on and the water heater is working. An electric or gas stove is also checked that it’s in working order, and the area under the sink is examined for leaks. When the appliances are not present, and are not included in the sale, the inspector verifies that the electric, gas and water points are working. When appliances are missing from a kitchen, the FHA inspector notes it. All states have different standards for the inspectors and while appliances are not required to be present in all localities, their absence lowers the value of the home. Dated appliances also devaluate a property. If a failed inspection is the cause of your loan denial, you have choices: back out of the contract, have the owner fix the problems or do the work yourself. A kitchen without counter tops, flooring, holes in the walls, exposed electrical and even a missing sink can be repaired at a minimum cost. Do the work and invite the inspector to come out again and reappraise. Once you close, install the appliances that appeal to your lifestyle and budget.